It is nearly Christmas and that means that all of the Christmas films will be hitting the cinemas very soon including Alison’s favourite Christmas film sequels, Nativity. The new film is Nativity Rocks and it is in cinemas from 23rd November. 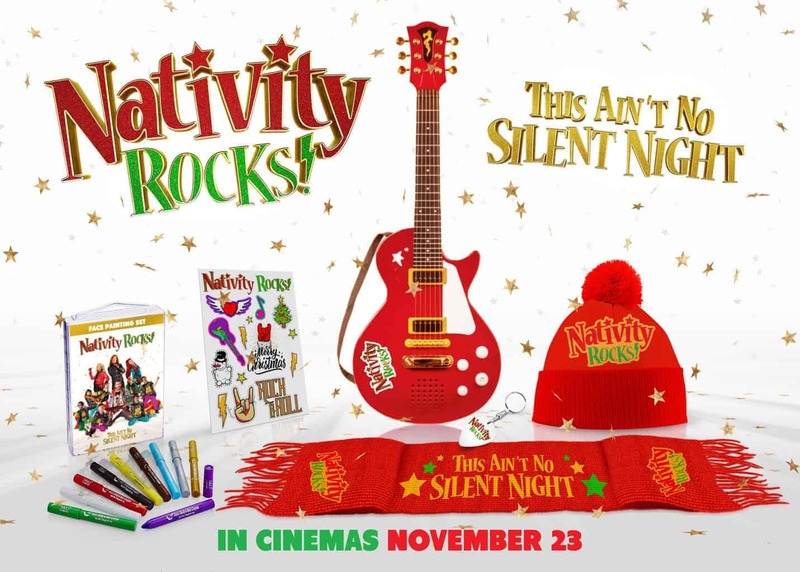 To celebrate the new film being released we are giving away 3 bundles of Nativity Rocks merchandise including a toy electric guitar! Nativity Rocks sees the staff and students at St Bernadette’s Primary School audition for a coveted place in a spectacular rock musical competition with hilarious and heartwarming results. For your chance to win one of three Nativity Rocks Merchandise, please enter via the rafflecopter form below. This giveaway is open to UK entrants only and closes at midnight on 2nd December. The prize is for one of three Nativity Rocks bundles as per the post. Prize draw ends at Midnight on 2nd December 2018 GMT. We can’t wait to see the movie! !